Westdale Dental is a local family dental office in Cedar Rapids and throughout the Corridor. Each patient receives friendly, individualized dental care delivered with compassion and integrity, from experienced dental professionals. Westdale Dental has been my dental office for 27 years. 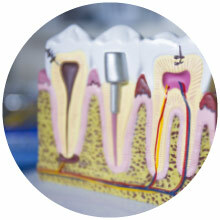 Over that time, I have had fillings, crowns, root canals and general oral health check-ups every 6 months. They do a great job, are patient focused and are very consistent, meaning I have only seen 3 dentists in that 27 years and probably a similar number of hygienists and dental assistants. That's always comforting to know that there isn't a new face everytime you go to the dentist, because of staff turn-over. Their staff is many of the same faces I saw nearly 3 decades ago. I know them and the quality of dental health-care they provide to me, and that's why I keep going back. Westdale Dental is great! Dr. Cox & his staff are friendly and they always treat me like more than a name on the appointment schedule. 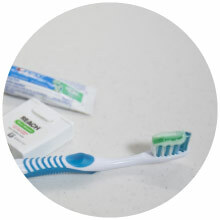 They always have great tips on how to better care for my teeth, cleanings are quick & easy, I recommend Westdale Dental. 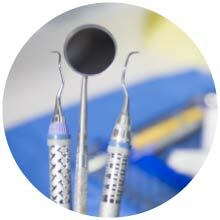 Westdale Dental has been my provider for more than 25 years. They are awesome, they remember their patients and are willing to go above and beyond to make sure they have the best care. It’s always nice arriving to an appointment and being greeted by the same staff year after year, plus they take the time to get to know me on a personal level. I couldn’t imagine going anywhere else. From a routine cleaning to repairing a broken tooth, we offer a variety of dental solutions to meet your specific needs. Our friendly, experienced staff work together to provide you the level of dental treatment and service you deserve. We help our patients maintain and regain a healthy, bright, and beautiful smile that gives them confidence. Avoid costly dental problems by allowing us to develop a healthy course of action that promotes dental hygiene through all stages of your life. Let us return your tooth's natural shape, appearance, and function with the help of the latest dental techniques and technology. Meet the friendly dental staff at Westdale Dental. We are excited to serve the Cedar Rapids community! Schedule an appointment with Westdale Dental today and receive the brighter, whiter smile you deserve. ©2019 Westdale Dental | All rights reserved. Powered by Metro Studios.